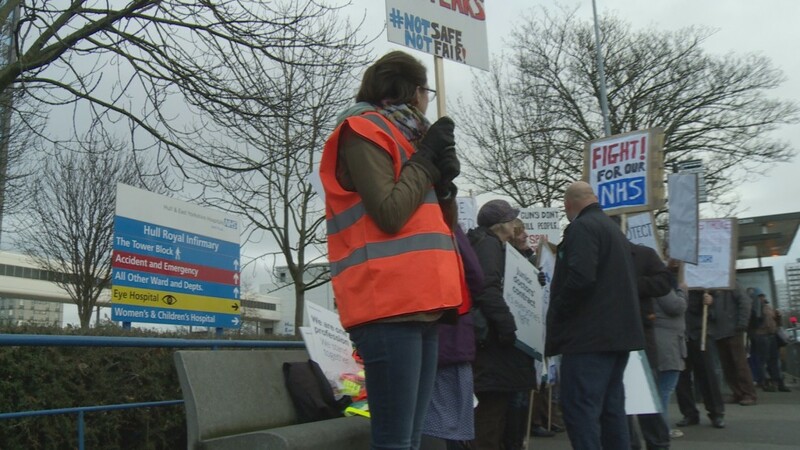 Hospitals in East Yorkshire will be activating business continuity plans in preparation for the next wave of industrial action by junior doctors. Between the hours of 8am and 5pm on Tuesday 26th April and Wednesday 27th April, junior doctors will stage a complete walk-out as part of an ongoing dispute with the Government over changes to their terms and conditions. Services at both Hull Royal Infirmary and Castle Hill Hospital in Cottingham will be affected by the action which, for the first time, will also see junior doctors withdraw cover from the Emergency Department. In light of this, members of the public will be asked to use community services for healthcare advice and treatment as far as possible, including Minor Injury Units, GP surgeries, walk-in centres, and pharmacies. Plans are being put in place by Hull University Teaching Hospitals NHS Trust to maintain business continuity as far as possible, and ensure the continued provision of safe and effective care to patients. Work has also been taking place to cancel and reschedule some outpatient appointments and routine surgical procedures. “The industrial action being taken by junior doctors on 26th and 27th April will be different to that we have seen previously, insofar as they will provide no cover whatsoever between the hours of 8am and 5pm. “We recognise the junior doctors’ right to take industrial action and, as such, we have had to plan accordingly to minimise disruption as far as possible and to ensure the services we continue to provide are safe. “In preparation for the strike, we have been working with our partners in primary and community care to maximise the number of patients who can be safely discharged from hospital in advance, to free up capacity on our wards. “Unfortunately, we have had to cancel a number of outpatient clinics and routine surgical procedures which were scheduled for the 26th and 27th, and we would like to apologise to anyone affected by this for the inconvenience. This has, however, freed up a number of more senior doctors to work in areas such as the Emergency Department and the Acute Medical Unit. They will be supported by others including advanced nurse practitioners, phlebotomists, and extra pharmacy staff. “At this stage, we do not know how many junior doctors will choose to take part in the walk-out, but we are expecting the impact of the action to be greater than during previous periods of industrial action. “Whilst we will continue to provide essential and urgent care services, including emergency surgery, we are also reliant on the public’s help in ensuring our hospitals continue to run as effectively as possible during this time. For non-urgent conditions, we would urge people to consider alternative sources of health advice and treatment as far as possible, such as Minor Injury Units, GP surgeries and walk-in centres, to reduce pressure on the Emergency Department. Hull University Teaching Hospitals NHS Trust would like to apologise for any inconvenience, and thank patients and the public for their cooperation and understanding during the forthcoming period of industrial action. Those patients who have appointments or surgical procedures scheduled to take place on Tuesday 26th April or Wednesday 27th April are asked to attend as planned, unless they have already been contacted by a member of hospital staff to cancel and reschedule. Patients with specific queries around their appointments are asked to contact the hospital using the details provided on their appointment letters. Picket lines are expected outside the hospitals, but they will not block access for patients or staff entering and leaving the sites.